4" - 7.5 oz Bowl 2" H x 4" Rim diam. 5" - 12 oz Bowl 2.25" H x 5" Rim diam. 6" - 21 oz Bowl 3" H x 6" Rim diam. 7" - 39 oz Bowl 3.25" H x 7" Rim diam. 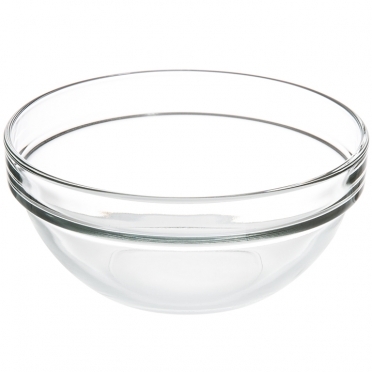 8" - 2 qt Bowl 3.50" H x 8" Rim diam. As you prepare the dishes for your celebration, your kitchen must remain organized. 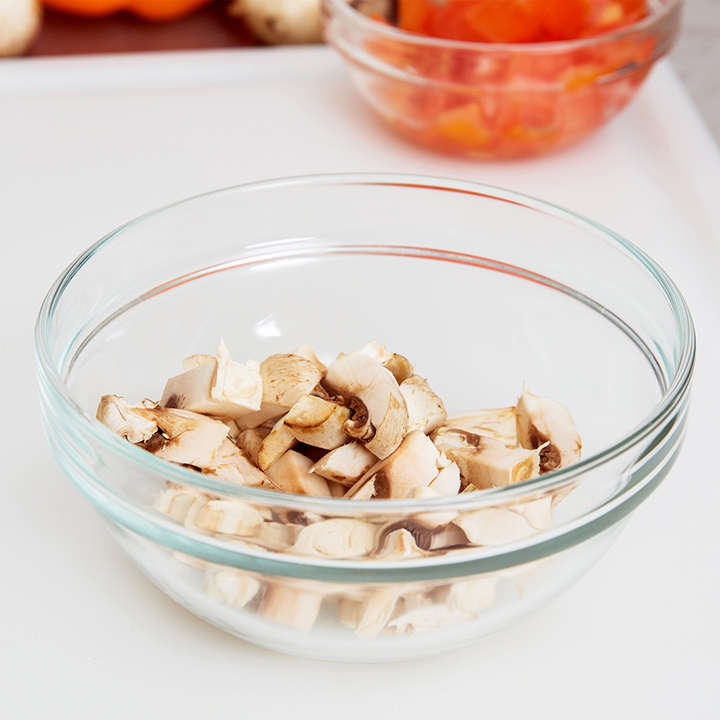 When you are measuring all of your ingredients, it is convenient to hold the contents in small glass bowls. 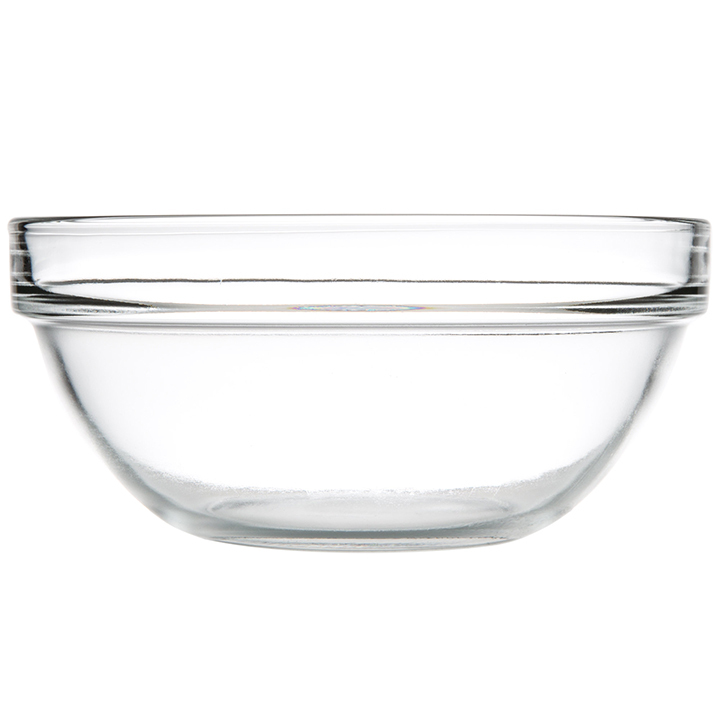 Thanks to the tempered-glass construction, it is simple to use these bowls around hot or cold temperatures. 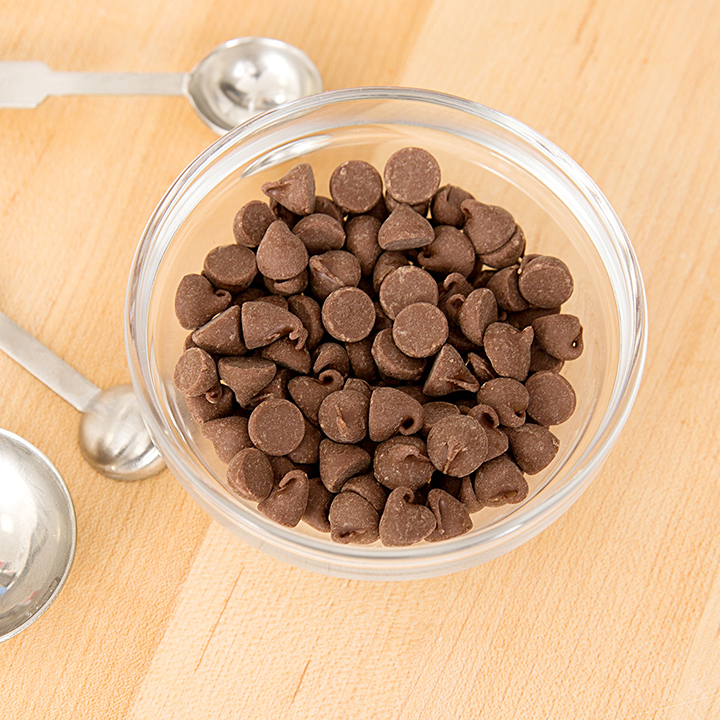 For example, when you are melting chocolate, this bowl can be held over a pot filled with boiling water. 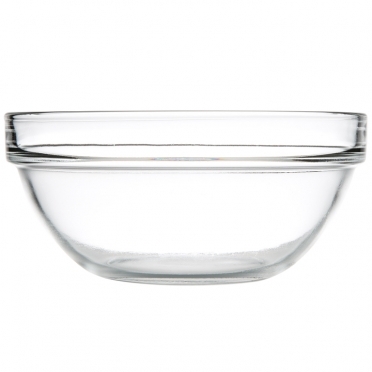 Also, you can use the larger sizes to hold snacks or other items along your buffet line.